iRobot's line of autonomous vacuums already cater to those who'd rather be doing anything other than pushing a vacuum around. 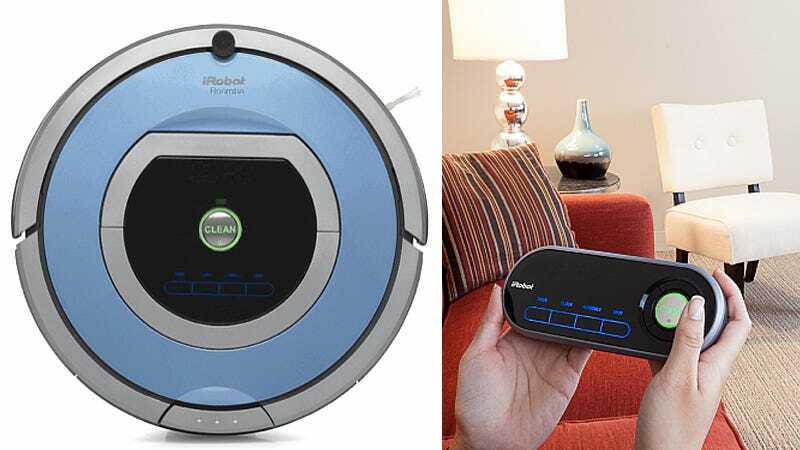 But the company's newest model, the 790, includes a wireless command center so you don't even need to get up to control or schedule Roomba's routine. The new remote is vastly superior to the company's previous offerings, carrying over the touchscreen interface used on the 790 and the previous generation Roomba 780, so you can set up a weekly cleaning schedule, or immediately send it on its way. And it also lets you manually maneuver the bot out from under a bed or anywhere it gets itself stuck. As a result of that newfound wireless functionality, the Roomba 790 comes with a $700 price tag, $100 more than the 780. But the Roomba is all about convenience, and an extra c-note so you don't have to ever get off the couch is a reasonable tradeoff.